Personal injuries can seriously and permanently impact your ability to work and live normally. They can also threaten your earning potential and financial security. When you suffer an injury caused by negligence, you have the right to fair compensation for your damages. 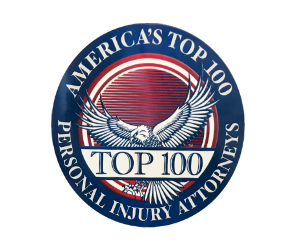 The Chicago personal injury lawyers of Phillips Law Offices have been assisting clients in personal injury cases for over 65 years. A closed head injury results from a hard blow to the head from an object striking, but it did not damage the skull. An open head injury is when the victim is hit with an object that breaks the skull and enters the brain. This typically occurs while moving at fast speed. For example, during a car accident, when an individual goes through the windshield. This injury can also result from a gunshot to the head. If you were involved in an accident that was caused by someone else’s negligence, you should speak with a knowledgeable Chicago head injury lawyer at Phillips Law Offices as soon as possible. Neck injuries include neck sprains, which are often a result of falls or twists that suddenly overstretch or hyperextend the joint. Symptoms include the following: swelling, reduced mobility and imminent pain. Sprains can be minor, moderate or excruciatingly severe. Whiplash is another type of neck injury and results in one or several diagnoses including muscle strain, ligament sprain or disc injury. With whiplash, the head is thrown first into hyperextension and then quickly forward. It is most often due to car accidents, but may be caused by sports injuries, falls or trauma. Neck injuries can be more serious than you assume. Seeking medical treatment as quickly as possible may save you pain and frustration later. Our experienced spinal injury lawyers may be able to help if you’re living with the results of a neck injury. Back and spinal injuries include strains and sprains, bulging, herniated or ruptured discs to the cervical, thoracic or lumbar spine. Injuries to the upper extremities include hands, wrists and elbows. These injuries include carpal tunnel syndrome, tennis elbow, bicep tears, and repetitive use and overuse injuries. Shoulder injuries include tendonitis and torn rotator cuffs. Knee injuries include tendonitis, arthritis, patella injuries and fractures. Industrial diseases include cancer, occupational asthma, chronic obstructive pulmonary disease, chemical exposure, dermatitis, emphysema and silicosis. Our dedicated Chicago asbestos lawyers may be able to help. If you are the victim of a work-related injury, you may wish to speak with the Chicago workers compensation lawyers at Phillips Law Offices. We have more than 65 years of experience helping people obtain the help they need. If you sustained an injury as the result of negligence, you face a time of stress and financial uncertainty. One of the best things you can do is to discuss your situation with a personal injury attorney. To contact us, please call (312) 346-4262, or fill out our contact form today for a free and confidential consultation with one of our attorneys about your case.